Happy December everyone! If you haven’t started your Holiday shopping yet, perhaps some of these ideas from my Holiday Gift Guide will inspire you. Also, my site is moving servers Monday so there is a chance it may be down but hoping it won’t. Just to play it safe, you may want to print out any recipes you plan on making Monday. Lastly, next Sunday I will be doing a book signing in Long Island, December 9 from 12:00 – 2:00 p.m. at Stew Leonard’s in East Meadow, NY. Hope to see some of you there! *Can sub gluten free, if desired. **To make your own Blue Cheese Dressing, buy 1 small package blue cheese, another (6-ounce) container plain nonfat Greek yogurt, 1 lemon and white wine vinegar (plus ingredients already in list). I’ve just started the meal planner & I’m excited to see how it works for us. We got all of our groceries today using the list. But my first recipe is the tacos which calls for 2 lbs of beef, but the shopping list only had me by 1 lb. It’s just my hubby & I tonight so lucky i can just half the recipe. 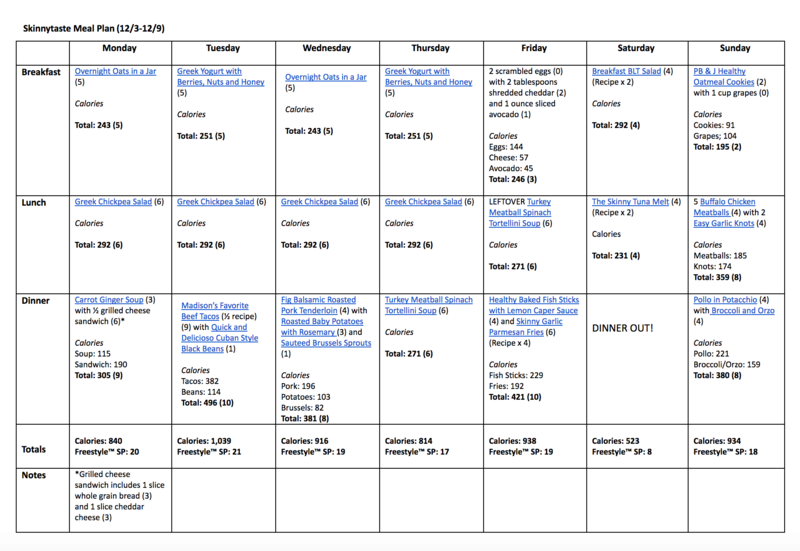 Thank you SO much for your weekly meal plans!! I just love how much easier they make my life!! YES! I love your meal plans! I love your meal plans so much! Thank you so much for sharing them each week. They cut my planning time down to almost nothing! Just found the meal plans. Thank you! i feel foolish now that i see where to click to hide the buttons LOL have a blessed day!! Where does this happen, on your phone or computer? Yes! I love your meal plans. Thank you so much for this! This has helped me stay on track during this busy time of year and added so much variety to our dinners! Which recipe is the lacinato kale for? Thank you for these weekly plans! Is there a way to upload the shopping list to Fred Meyer online and edit to order groceries from your weekly meals easily? That would be a fabulous selling point, that I would pay a weekly fee to have…..Thank you! 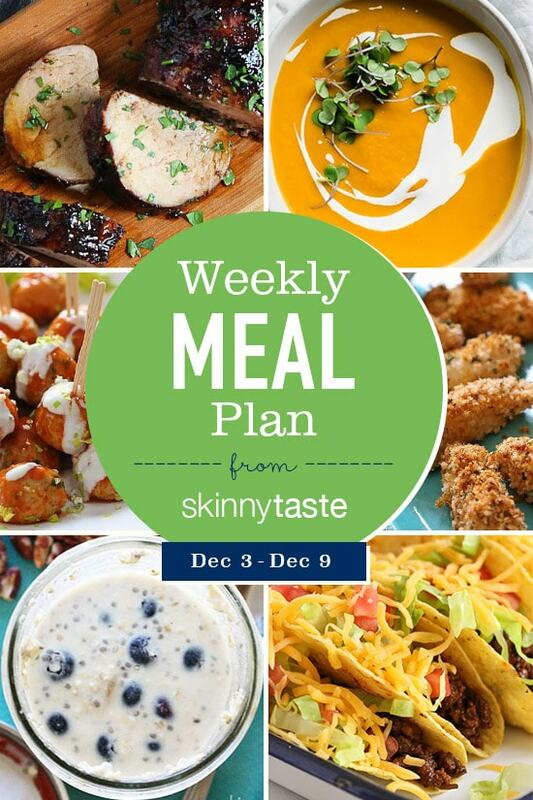 Love your meals plans and books! These menus have been wonderful for my busy family and I. It gives me peace of mind that I am able to make healthy recipes, but even better, the planning has saved me tremendous time that I am now able to devote to my family. Thank you so much for these weekly menus, Gina! It is much appreciated!